Not all IVF laboratories have the luxury to be located at a nice setting at sea level with beaches just outside the door. I guess most of us would consider these fellow-embryologists to be the lucky ones. And they are, not only because of the life-style benefits, but also because they clearly have an easy task in setting the CO2 value in their incubators in order to have the proper pH in their culture media. Why so? Firstly, because they do not necessarily need to know much about the Henderson-Hasselbalch equation. You may remember this formula from chemistry lessons at school or at university or of one of these questions asked during embryology certification. The Henderson-Hasselbalch equation describes the relation between the pH-value and the reaction between acidic and basic components in a solution. The additional presence of CO2 in an incubator will result in an equilibrium which will influence the pH-value of the culture medium. So it is the amount of CO2 that drives the pH in culture media. The more carbon dioxide that is present in our incubators, the more carbonic acid, H2CO3, is formed decreasing the pH. After production of culture media the pH-value will be measured for a specific CO2 concentration, which is 6.0 % for media from Vitrolife. This information is provided to the embryology lab in the product leaflet. For example for G1-PLUS at a setting of 6.0 % CO2 the pH of the G1-PLUS medium in an incubator with this setting will be 7.31 after proper equilibration. This information is provided for every batch of media and it may vary slightly from batch to batch. However, it is important to know, that this relation between the CO2 setting of the incubator and the resulting pH-value is only true at sea level. And that is the second reason why embryologists working in a clinic at sea level have a relaxed life – they can simply refer to the product information and use the CO2 value that is indicated there in order to get the corresponding pH-value. 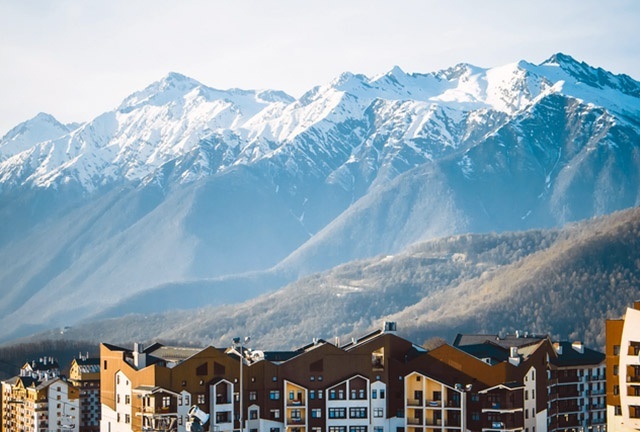 What about those of us working at higher altitude – and in regard to CO2 in the incubator any elevation above sea level is already “higher altitude”? 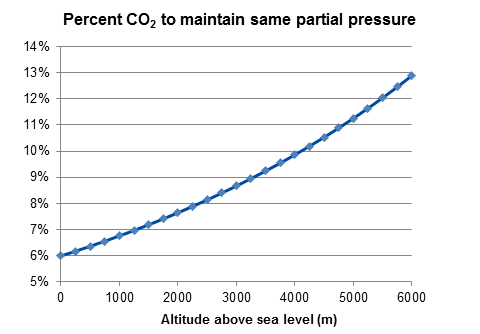 When moving to increased altitudes, the total atmospheric pressure will decrease and then the part of the atmosphere that consists of CO2 will decrease as well. A lower partial pressure of CO2 will result in less CO2 in the incubator. Meaning that if I set my incubator in a clinic that is located 2000 meters above sea level to 6.0 % CO2, I will in reality have less CO2 in the incubator than what is needed to achieve the proper pH. Consequently the pH at such a setting will be too high and not give proper results in regard to how my embryos develop. However, there is an easy solution to this: we have to increase the CO2 settings in order to achieve the right amount of CO2 needed. And you may have guessed it already: Yes, there is another formula for that. P will be the pressure in mbar and h is the altitude above sea level in meter. In order to maintain the partial pressure of CO2, keeping the formation of CO2 the same as at sea level, the percentage of CO2 has to be increased. At 2000 meters above sea level, the equation above gives a total atmospheric pressure of 795 mbar. 60.80 / 795 gives the concentration of CO2 needed, 7.65 %, in order to achieve a CO2 setting in the incubator that gives the same pH as recommended for sea level. There is one important thing to consider when we have calculated the correct CO2 settings at the altitude we work. That is the proper calibration of the electrode that measures the CO2 in the incubator. You must be sure that the value you read is the value that is real. So one should either use an external calibrated measuring device for CO2 or an online device that can measure pH in a standardised solution. This part of quality control measure must also be done by those of us working at sea level.